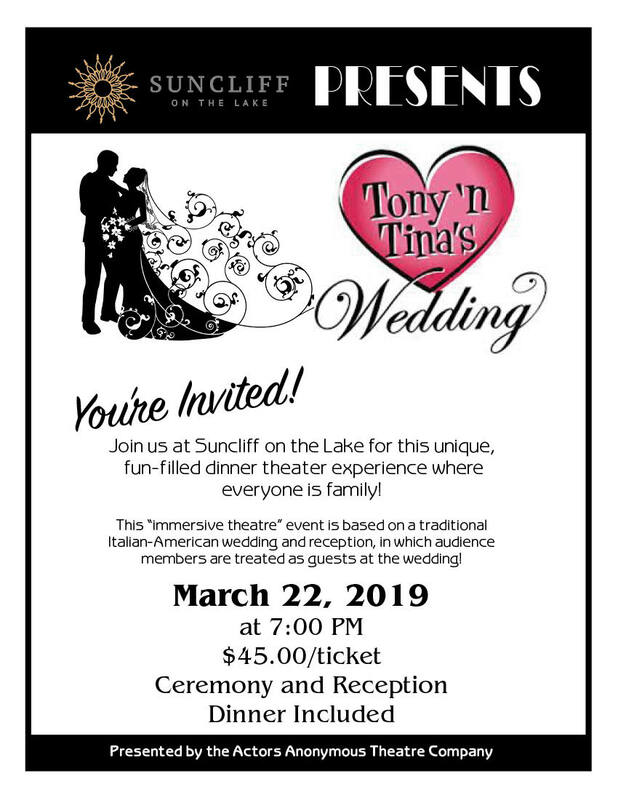 Tony ‘N Tina’s Wedding is coming to Suncliff on the Lake in Derby, NY. You are cordially invited to be a guest at the reception of this unique wedding celebration! Join in on the fun. $45 per person includes theater ticket and dinner as well. Contact suncliffonthelake@gmail.com for more information about any events that are of interest to you.